Manufacturers & Exporters of Monel Alloy K500 Pipes & Tubes, Alloy UNS N05500 Seamless Pipes & Seamless Tubes, Monel K500 Welded Pipes & Welded Tubes in India. Neon Alloys is Manufacturers and Exporters of Monel 400 Pipes and Tubes that is Fabricated from High Quality Raw Materials. As monel resists to stress, corrosion & cracking in fresh waters, these Monel 400 pipes and tubes are immensely used in the marine industries. These monel pipes and tubes are immensely used in the marine industries. These Monel 400 pipes are widely used in various industries across the globe. 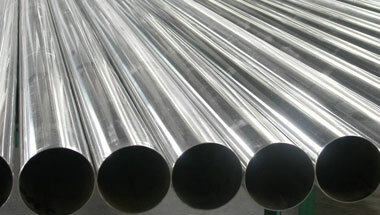 Neon Alloys one of the manufacturer & supplier of monel alloy k500 pipes & monel alloy k500 tubes in india. They are available in the square, round, rectangular & ‘U’ shape, and others are available in horn tube, capillary tube, IBR tube, and precision tube, hydraulic tube, boiler tube. Monel 400 Pipes and Tubes are available in different grades and forms and as per the specifications and demands of our clients. These product includes tubes and pipes, Monel K500 Pipes, Monel K500 Tubes, Alloy K500 Seamless Pipes & Tubes etc. Monel K500 Pipes, Monel K500 Tubes, Alloy K500 Werkstoff Nr.2.4375 Seamless Pipes & Tubes, Monel Alloy K500 Welded Pipes Supplier, Alloy K500 EFW / ERW Pipes & Tubes Exporter in India. Sudan, Nigeria, UAE, Democratic Republic of the Congo, South Africa, Sri Lanka, Turkey, Ghana, Angola, Tunisia, New Zealand, Vietnam, Kazakhstan, Ethiopa, Mozambique, Germany, Uganda, Mexico, Peru, Thailand (Bangkok), Bahrain, Cameroon, Chine, Italy, Venezuela, UK, Argentina, Jordan, Africa, London, Australia, Iran, Algeria, Russia, United States, Israel, Canada, Trinidad and Tobago, Malaysia, Dubai, Houston, Morocco, Colombia, Kuwait, Indonesia, Saudi Arabia, Iraq, Brazil, Egypt, Azerbaijan. Kolwezi, Alexandria, Rabat, Luanda, Khartoum, Harare, Benin, Muscat, Istanbul, Mbuji-Mayi, Kano, Dammam, Mogadishu, Giza, Nairobi, Durban, Omdurman, Port Elizabeth, Addis Ababa, Lusaka, Pretoria, Yaoundé, Bulawayo, Bethlehem, Tel Aviv, New York, Ibadan, Singapore, Antananarivo, Brazzaville, Kampala, Johannesburg, Soweto, Hong Kong, Dakar, Cape Town, Bamako, Douala, Beirut, Port Harcourt, Lagos, Maputo, Freetown, Abidjan, Dar es Salaam, Aqaba, Algiers, Casablanca, Conakry, Abu Dhabi, Tehran, Cairo, Jerusalem, Byblos, Accra, Jeddah, Kaduna, Lubumbashi, Sharm el-Sheikh, Doha, Data from the UN, Manama, Amman, Maiduguri, Riyadh, Zaria, Colombo, Tripoli, Ouagadougou, Fez, Cairo, Mecca, Subra al-Haymah, Kinshasa, Dubai.